Our second favorite show, Entourage, is now just one week away from its 3rd season. With only 14 episodes last season, it's been a long, long wait. Did anyone notice how the show is advertising on ESPN now? Needless to say, this show is becoming one of the biggest players on TV. With all the failed sitcoms on network television, this season could end up being a monumental moment in comedy TV. If you are like us and can't wait for the season premiere, pick up the most recent issue of GQ with Christina Aguilera on the front. 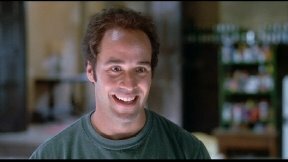 There is a great article detailing Jeremy Piven's move up to the A-list. 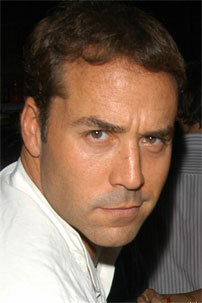 .... that is until we realized Piven is probably hooking up with a model half his age right now. You go, JP. He is actually hooking up with my friend's friend and she says he has disgusting hair plugs. No doubt he has more hair than earlier in his career. But he is good as Ari Gold! Hug it out!